This week our Council blog posts will coincide with yesterday’s International Women’s Day. We believe that having a diverse Council makes our chamber stronger and better. Read below about the experiences of one our long-standing Council members, Catherine Stewart, one of the original founders of Brussels New Generation. If you’re interested but want to know more about being a Council member, or standing for President, contact Glenn for an informal discussion. I first came to the chamber as a representative for my boss at the CBI in Brussels. It was useful to be a part of a network which gave me valuable insights into policy areas affecting the business sector in Brussels. When I subsequently set up my own business I got more involved for the network and companionship it provides. Running your own business can be rather lonely and at the chamber, you can get advice, support and guidance and introductions to suppliers of business services which can be very helpful. Being a part of community of like-minded people, you extend your client relationship in Brussels; you get to create a relationship of professional equals. Since I first came to the British Chamber, I have seen it grow and develop into the leading forum in Brussels on EU policy with a good relationship with the institutions. 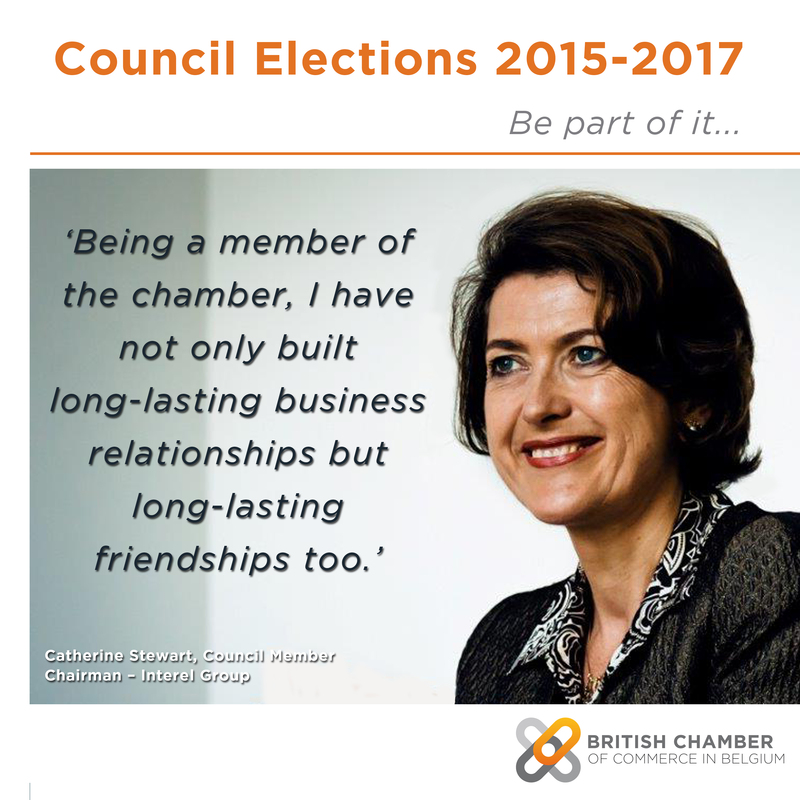 In the past few years I have also seen the chamber become a great platform for building business relationships and offering business services to companies and organisations wanting to do business in Belgium. It has developed its trade promotion programme significantly. Being a member of the chamber, I have not only built long-lasting business relationships but long-lasting friendships too. My particular contribution to the chamber is the creation of the Brussels New Generation (BNG) Network. If you are aged 20/30 coming to briefings with experienced policy makers in their 40s/ 50s can be rather formidable, so being able to network in an informal space with similar, like-minded young professionals is a lot easier. Fundamentally, the BNG allows you to create and develop your own professional network with people of your own age and similar stature.